Why are the Fish and Birds dying, 2011? >October of 2010 The Ministry of Natural Resources and staff at Wasaga Beach Provincial Park collected a number of dead fish and diving birds, including more that 30 common loons and 9 Sturgeon, a threatened species. Woodland Beach also experienced a die off of mostly Loons and Gulls. Tiny Township was called and would only clean up Township owned beach. WBPOA organized a clean up in other areas. A loon carcass was sent to the University of Guelph for testing in November/2010 but the report was unable to detect suspected botulism - a toxin produced by a naturally occurring bacterium that under certain conditions can enter the aquatic food chain. Although the test did not show the presence of botulism, it was not ruled out as it is difficult to test for. (Refer to the article below from Lake Huron Binational Partnership 2011 Annual Report). These die offs are very common in the Great Lakes if conditions are right. The right conditions usually include rapid temperature change. Two major events could occur. Mid to late summer terns, gulls and cormorants are affected. During Fall migration sandpipers, fish eating birds such as loons, mergansers and grebes, mussel-eating ducks such as long tailed ducks, scoters and scaup. Fish could be freshwater drum, small mouth bass, round gobies and lake sturgeon. >September 2011 - We have again been affected with a die off on the Beach. The count on September 26th was 12 birds and 9 Fish consisting of 10 gulls, 1 Loon, 1 Sandpiper, 5 Sturgeon 3-4 ft long, Carp, Carp, Trout and Bass. Tiny Township office confirmed the shoreline is affected right to the 12th Concession. We suspect that there were more but some people have thankfully cleaned up in front of their beachfront cottages. WBPOA organized a clean-up with a few permanent residents as their condition was quickly deteriorating. >Oct 3 rd - This week we have had a second die off fish and gulls. A second report was made to Wasaga Beach Provincial Park, Ministry of Natural Resources and the testing facility, Canadian Co-op Wildlife Heath Centre in Guelph, (see link below: www.ccwhc.ca ). The WB Provincial Park has also seen a second die off this week of mostly Loons, Gulls and a few fish. We could continue to see die-offs. As disturbing at this is we are responsible for cleaning up our own beach. 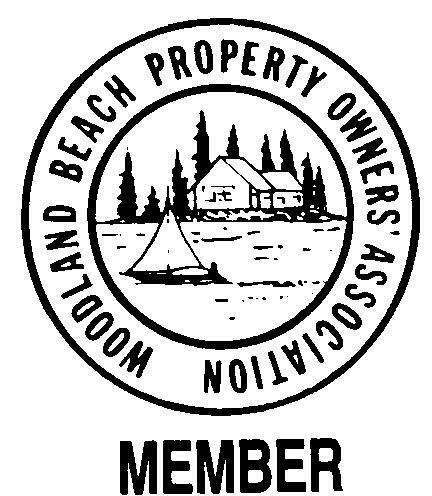 Tiny Township will only clean up township owned beach, if they are called. The MNR has recommended that the fish be buried so other shore birds are not affected. The hole should be 2 ft. deep and well away from the water at the grass line. You can also triple bag and take to a transfer station. We have included a couple of links to help you understand why this is happening. The phone # to report any findings is 1 866 673 4781. Please let us know your thoughts.